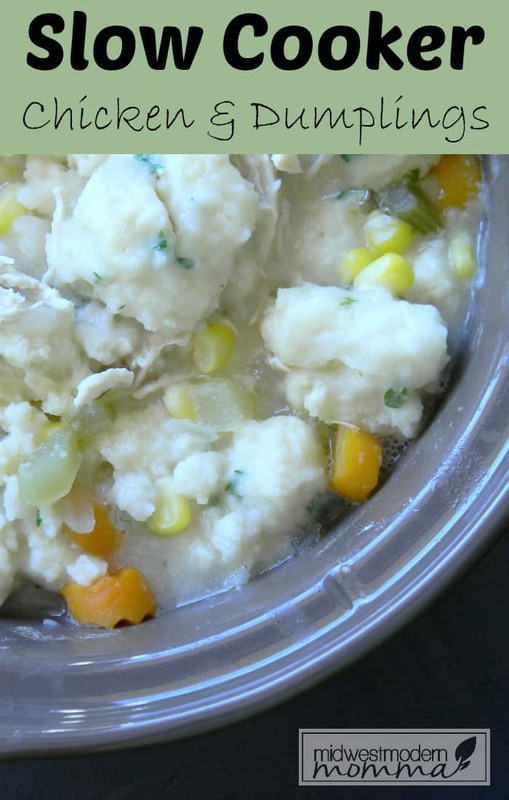 Slow Cooker Chicken and Dumplings is one of our favorite cold weather meals and is so easy throw together without sacrificing any of the delicious flavor! 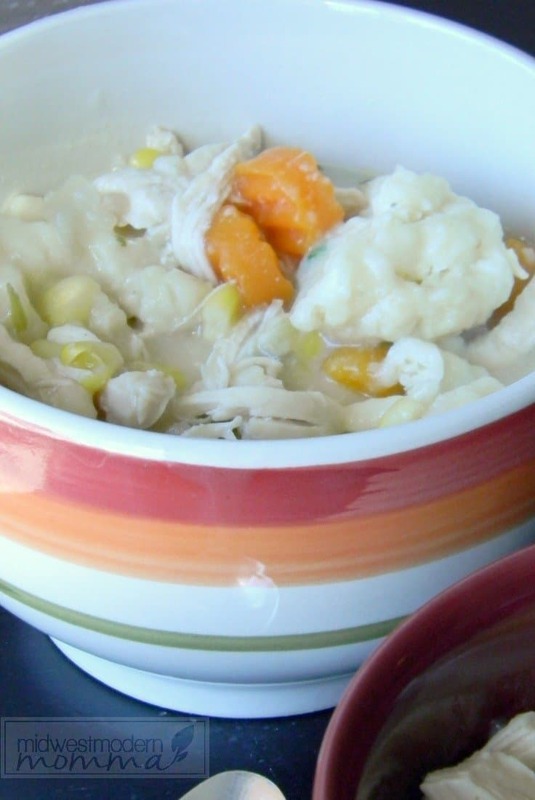 This version is based off my favorite chicken & dumplings recipes and is gluten free! Chicken and Dumplings is one of my favorite meals. 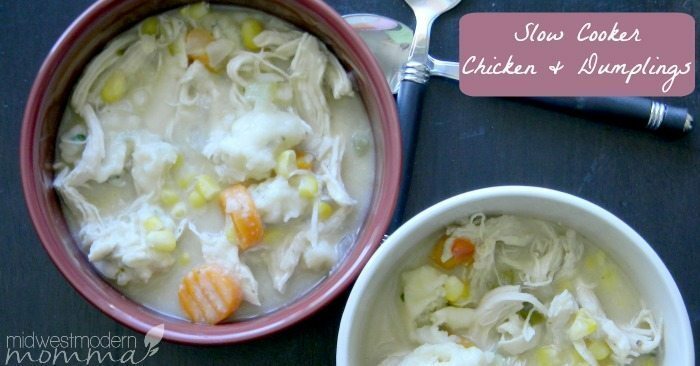 I use to make it on the stove, but then I started seeing Slow Cooker Chicken and Dumpling recipes all over Pinterest last year. After going through a few, I was able to tweak my gluten free chicken & dumplings recipe to work in the crockpot! We use herbed dumplings to really increase the flavor and use up some of our indoor herbs! Why I never thought of this before with my crockpot addiction is beyond me! Speaking of, I have a new favorite crockpot! I love how it flips to warm once the cook time is over, making it great for when I'm working in the yard or for breakfast crockpot recipes! Mix your flour, thyme, tumeric, and pepper in a bowl. Dredge your chicken in the herbed flour and then brown in a pan with melted butter. Put browned chicken into the crock pot. Browning really helps bring out the flavor in the herbs, but I've been known to skip that stage on a busy morning (or when I forgot to start supper early enough. Next, add your chopped veggies, chicken broth, and apple cider. Cook on low for 6 hours and then shred the chicken. Put the shredded chicken back in the slow cooker and make your dumplings. Combine flour, parsley, baking powder, and salt. Add milk and stir until just moist. DON'T over mix it or the texture won't be right! Take a teaspoon and spoon the dumpling batter into the crockpot. Tilt your lid so it will vent and cook on high for about 40 minutes (until the dumplings are cooked through). I normally have to cut one and then taste it….just to make sure! Combine flour, thyme, turmeric, and ground pepper in a bowl. Dredge Chicken breast in herbed flour. Melt butter in a pan and brown chicken. Place chicken in the bottom of your crockpot. Add carrots, celery, corn, onion, and garlic. Pour in chicken broth and apple cider. Remove chicken breasts from slow cooker, shred, and then return to cooker. Combine flour, chopped parsley, baking powder, and salt in a medium bowl. Add milk, stirring until just moist. Spoon by heaping spoonfuls into broth mixture. Tilt lid to vent & cook on HIGH 30 minutes or until dumplings are done. Looking for more slow cooker chicken recipes? Don't forget to check out my Chicken Pinterest board! 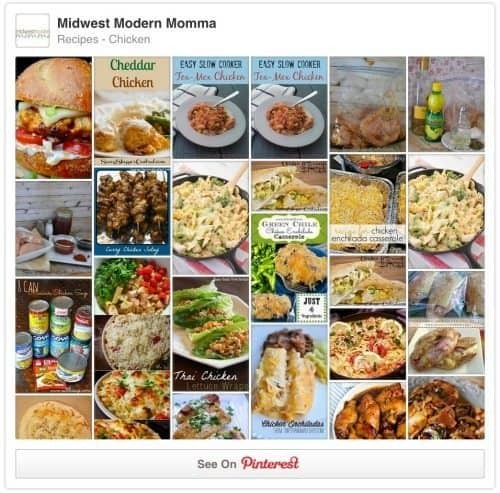 Check out more Slow Cooker Chicken Recipes! Ooooh. I love chicken dumplings. Ooooo I love comfort soups – especially with fall fast approaching. I am also from the Midwest so this reminds me of home. Can’t wait to make it. I am GF so this is perfect!!! Found your post on the Two Cup Tuesday link party!